May Nyman, her husband and three children moved to Corvallis in August 2012, where both elder Nymans joined the OSU faculty; May in Chemistry and Matt in Science, Math Education. Prior to this, the Nymans lived in Albuquerque, NM where May was employed at Sandia National Laboratories for 14.5 years as a staff chemist, working on materials for energy and environmental applications. May’s main scientific passion is aqueous metal-oxo clusters; esp. polyoxoniobates, tantalates and uranyl clusters, as well as related oxide materials. These particular polyoxometalates and materials have properties useful for applications such proton conductors, base catalysis, selective binding and precipitation or crystallization of bio-macromolecules, water splitting for hydrogen or oxygen production, separations in the nuclear fuel cycle, and anti-viral applications. Polyoxoniobates and tantalates are also very interesting for investigating the fundamentals of ion-pairing in solution. May chose this challenging mid-career change due to her interest in working with students and developing a focused research program centered around cluster chemistry. 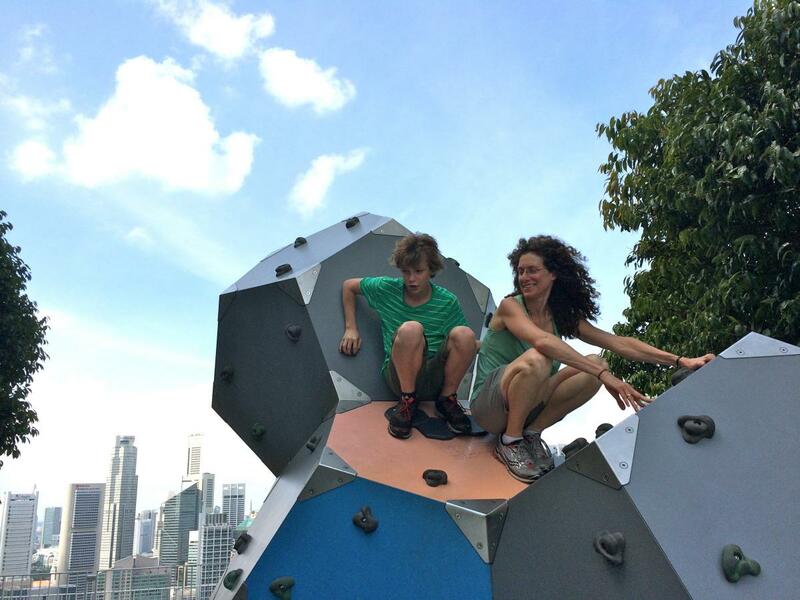 Above: May and her middle child (Flynn) in Singapore, July 2014 for ICCC-41. Outside of chemistry, May loves the great outdoors, beer, and international music and dance.